Everything You Need to Sing Whistle Register Today! Everyone wants to be able to sing in whistle register. Who wouldn’t want to have the same incredible whistle notes as Mariah Carey, Minnie Ripperton or Ariana Grande? But what if you could actually sing in whistle register today? Anyone can sing in whistle register. It just takes some special singing techniques. In fact, here’s an Exclusive Bonus: Get 5 Free Whistle Register Techniques sent directly to your inbox. By the way, if you want a vocal program that will teach you some amazing vocal techniques to increase your range, check out my complete singing course, Master Your Voice, here. But no matter whether you’re a guy or a girl, you can access your whistle register. And, if you develop your whistle notes carefully and slowly, you’ll be amazed at how incredible they sound. So today, I’ll show you 5 techniques for finding and singing in whistle register. But before we get into the exercises, it pays to learn a little bit about what creates those soaring high notes that practically jump off the keyboard. Whistle Register is the highest vocal register. It’s higher than the chest voice and head voice vocal registers. 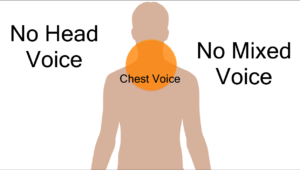 Don’t worry if you haven’t heard the terms chest voice and head voice before. I’ve written an article with 10 Singing Techniques to Improve Your Voice that explains them in detail. A vocal register is a set of notes in your range that share a similar sound. That consistent sound is created by a specific vibratory pattern in the vocal folds, or vocal cords. Chest Voice is a vocal register. Back in the old days singers felt that notes at the bottom of their range tended to vibrate strongly in their chest. Those singers called the range of those notes Chest Voice and the name stuck. You can try this yourself by placing your hand on your chest and saying your name aloud at a strong volume. Feel that vibration against your hand? Those low notes all shared a similarly strong, brassy sound so teachers called it the “Chest Voice Register”. The other well-known vocal register is called Head Voice. Those same old-school singers felt the highest notes in their range vibrated in their head. So they called it head voice. You can feel the sensation of head voice by placing your hand on the back of your neck and singing a high note on “Wee” (as in “Week”). 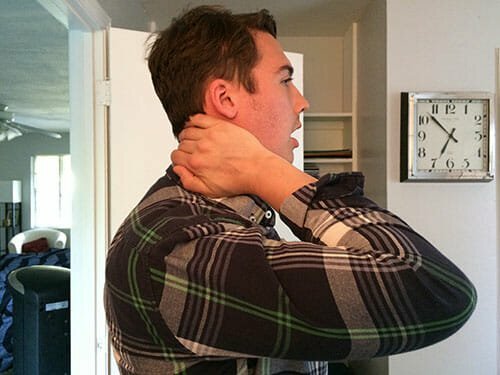 Feel that vibration on the back of your neck? Since those high notes all seemed to have a high, fluty sound, teachers called it the “Head Voice Register”. With the help of modern science, we know that the chest voice isn’t really coming from the chest. And the head voice isn’t really coming from the head. All singing actually comes from the vocal folds. 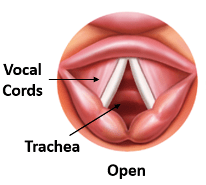 The vocal folds, or vocal cords, vibrate in order to create sound. The stronger the vibration, the bigger the sound. That’s why vocal registers are defined by their vibratory pattern. The Chest Register for example, comes from short and thick vocal folds. Those thick cords are great at resisting the air from your lungs. So you get a big, strong vibration that creates the chest voice sound. The Head Register comes from vocal folds that are stretched and thin. Those thin cords aren’t as good at resisting the air from your lungs. This decreased resistance makes the head voice sound a bit fluty and light. But what’s all this vocal register talk got to do with those whistle notes? I just want to sing those amazing Mariah Carey notes! Whistle register is the least understood vocal register. And it’s not for lack of trying! The truth is, it’s difficult to see the vocal folds in action in whistle register. As a matter of fact, any time you want to see the vocal cords, an Ear, Nose and Throat Doctor has to use an instrument with a camera and light to see all the way down to your vocal folds. You can actually see me get “scoped” in this video by Dr. Chad Whited of Austin ENT. All this to say, under the best circumstances, it’s hard to see what’s going on when you sing. And in whistle register, the epiglottis, a thin flap of cartilage that prevents you from choking, covers the vocal folds. That makes seeing the vocal cords in whistle register impossible to see. Even though we can’t directly see what causes whistle register, we know what causes whistle register. But before the big reveal, we need to discredit a few myths about whistle register. And there are a lot of myths out there about what makes those notes whistle. 1. Whistle Register is not an extension of the head voice register. Before vocal scientists like Dr. Ingo Titze did studies to find out what causes whistle register, many teachers believed the whistle register is just the natural extension of the head voice. Basically, they thought that if you sing high enough, the notes will whistle. Whistle register is totally different from Head Voice. But it can be easy to confuse head voice and whistle register. At first glance, the head and whistle register seem to have a lot in common. They both have incredible high notes. And they even share a somewhat breathy or airy tone. However, the vibratory pattern that creates the whistle and the head registers couldn’t be more different. 2. Whistle Register is not created by air “whistling” behind the vocal folds. Many teachers and singers believe that whistle register is caused by air “whistling” through a hole behind the vocal cords. Vocal scientists saw that in whistle register, the back of the vocal folds is slightly open. And that openness allows air to pass through. So teachers thought that fast moving air could create a whistle sound. Fast moving air will never create a whistle sound on it’s own. Remember, there has to be a vibration to create sound. And if the air is passing freely behind the vocal cords, there is nothing for the air to vibrate against. No vibration = No sound. So now that we’ve taken apart the two biggest myths in whistle register, are you ready to find out what actually causes whistle register? So What Actually Causes Whistle Register? Earlier, I mentioned that whistle register is totally different from the other vocal registers such as Chest Voice and Head Voice. In chest and head register, the vocal folds vibrate freely at their full length. That means that the vocal folds are vibrating from the back of the vocal fold, all the way to the front. And that full vibration is what gives your voice that strong sound from bottom to top. In whistle register, only the front part of the vocal cords are vibrating together. And like we discussed in the last section, the back of the vocal folds are open. This openness allows some air to leak through. Have you noticed that whistle register sometimes sounds a bit breathy? Listen to Adam Lopez sing Mariah Carey’s “Emotions”. Specifically, listen to his whistle note on the word “Inside”. That’s because the back of the vocal folds are open. With only the very front part of the vocal cords vibrating, the cords are able to produce incredibly high notes. Now that you understand what causes the whistle register, let’s find it in your voice. Before you become the next Mariah Carey, there are a few important precautions to take while doing these exercises. As you’re learning to sing whistle register, keep your throat relaxed. When finding your whistle register it can be really easy to just try to squeeze your throat to make the notes whistle out. But squeezing your throat can actually PREVENT the whistle register from happening. And if you squeeze too much, you may strain your voice. So as you’re finding the whistle register, listen to your body. If something is feeling tense or squeezed, you are doing something WRONG! Singing in whistle may feel a little pressed, but nothing should hurt! So if anything hurts, take a break for the day and come back tomorrow. More than any other register, whistle is developed best by going slowly. That doesn’t mean it takes months to find it. When I first began working with my whistle register, finding it was a breeze! But learning to sing with whistle register with good pitch and tone takes time and patience. 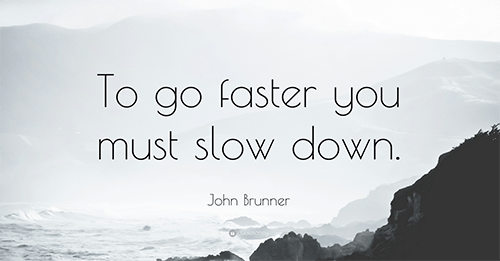 So make sure to take some time each day to practice it consistently always aiming for the most comfortable way of doing it. Now that’s out of the way, are you ready to sing higher that ever before? The “Yawny-Whistle” is one of my favorite techniques for finding whistle register. That’s because when people first start trying to find whistle, usually they tense and squeeze their throat to get it. You don’t have to squeeze to get whistle! 1. Take a low breath from the diaphragm. If you’re new to singing, make sure you check out this article on breathing for singing. It’ll show you everything you need to know about singing from the diaphragm. 2. Pretend that you’re yawning and let your throat and jaw relax like you’re saying the word “Ah” (as in “Amen”). Sometimes it helps people to raise their arms behind their head to really get into the relaxed feeling of yawning. 3. Instead of actually yawning, push a bit of air against your throat while you press against the air like you’re holding your breath. 4. As you gently press against the air, try to get a squeaky whistle on the “Ah” vowel. If you’re not sure where to start, don’t worry. How to Sing Whistle Register–Works for Guys and Girls! It’s totally normal to feel a bit of air escaping from your throat as you press against the air. Remember that in whistle register, the back of the vocal folds are open. But if you feel like your tone is a bit breathy or airy, you be allowing a bit too much air. To fix this, try to “lean in” or gently press against the air from your lungs—always trying to keep it relaxed. The whole point of doing the yawny whistle technique is to make sure that you’re keeping your throat and jaw relaxed. If you feel any tension in this exercise, you’re doing it wrong. Whistle register can sound really weird at first. Sometimes it’s a really squeaky or squawky sound. Other people find a beautiful whistle register right away. But when you’re first starting out, it can be helpful to find whistle register by imitating sounds we find in every day life. So, if you’re good at imitations, try the whiny puppy technique to find whistle register. 2. Allow your mouth to open like you’re saying the word “Ah” (as in “Amen”). 3. Now pretend you’re a whiny puppy and push a bit of air against your throat while you press against the air like you’re holding your breath. Most people imitate the whiny puppy sound by making a humming “mm” sound. But in this technique, make sure that your mouth is open in an “Ah” shape. 5. Let the whistle note move from high to low, just like a puppy’s. We’re not shooting for beautiful Mariah notes yet. We’re just trying to find the whistle in your voice. Remember that we want to keep the throat and jaw as relaxed as possible in this exercise. Try to make it as comfortable as you can each day. Similar to our last example, another great way of finding the whistle register is by imitating a bird call. Obviously, this is going to be a pretty silly exercise. But you’ll thank me when you’ve got the best whistle notes around. So don’t be shy about giving this technique your all. It might be just what you need in order to find your whistle. 3. Now pretend you’re a tropical bird and push a bit of air against your throat while you press against the air like you’re holding your breath. 4. As you gently press against the air, make a “Caw” sound like a tropical parrot. 5. Let the whistle note move from high to low, just like a bird call. Just like the last exercise, the bird whistle technique requires skill in imitation. You may notice that it’s easier to do this exercise since you have the “C” consonant to push a bit of air through the vocal folds. For others the “C” consonant may make things harder. Just find which exercise or imitation works for you and practice it daily. If you’re not great at doing imitations, the following exercise may help you find your whistle register better than the others. This exercise will help you get the vocal folds into the right shape, without sounding ridiculous. The weight lifter technique is the most aggressive method for finding whistle register since it puts a lot of pressure on the vocal folds. So do this exercise cautiously, always listening to how your body feels while finding the whistle. 2. Relax your throat and jaw as if you’re saying the vowel “Ah” (as in “Amen”). 3. Now pretend that you’re lifting a heavy weight and bear down gently against your breath. 4. Push a bit of air against your throat while you press against the air like you’re holding your breath. 5. As you gently press against the air, try to get a squeaky whistle on the “Ah” vowel. So use the weight lifter exercise to find the whistle, but quickly try to release any extra muscular tension you feel in your throat. If all else fails, let’s look at the diva herself. In this great interview from the mid-1990s, Mariah explains how as a sick child, she would often lose her voice. Being too hoarse to speak in her natural voice, Carey was forced to speak in a high squeaky whistle tone. After using this area of her voice for some time, Carey found that she could use those squeaky whistle tones to hit impossibly high notes with power. Sometimes it’s easier to find whistle tone without all the crazy puppy and bird imitations. So let’s to speak some notes in whistle tone. 3. Now push a bit of air into your throat while you press against the air like you’re holding your breath. 4. As you gently press against the air, try to get some squeaky words out. 5. I recommend trying to speak in whistle tone on open vowels such as “Ah” and “Oh” such as (“Oh my Gosh”). So if you find yourself straining more to speak than to vocalize a simple vowel like “Ah”, stick with the “Ah” vowel. Now that you’ve found your whistle, it’s time to start singing! Even if you’ve just started getting a squeak or two out of your voice, it pays to use your whistle to sing on pitch. So let’s talk about which notes to try in whistle. A great area to start training whistle register is around an octave and a half above your bridge or passagio. If you haven’t heard those terms before, don’t worry. I’ve written an article about the three most common vocal techniques that explains bridges in more detail. The bridge or passagio is the area where a singer transitions between their different registers. What made Seth Riggs, the founder of Speech Level Singing, so influential was that he was the first teacher to pinpoint the area where singers made the transition between their vocal registers. Seth called this area the “bridge” or “passagio”. Mr. Riggs pointed out that most men started to transition to their second register around an E4. And women started to transition to their second register around an A4. Now, the voice is always making small transitions and adjustments as you sing different notes. But Seth was the first to note the major transition or first bridge. For whistle register, we’re actually going to be looking more than an octave above this first transition. Most men can start finding their whistle register around an A5. Most women can find their whistle notes starting around an E6. For most singers, this is too high to use their head voice. So this is the perfect area for you to take your whistle register for a test drive. 5. If you’ve mastered the 5-Tone Major Arpeggio, it’s time to sing whistle notes in songs. Choose your favorite song with whistle notes and try to match your tone to the singer. If you’ve successfully found your whistle on a few high notes, remember that singing even a simple scale (like the chromatic) can take weeks or months. With any luck you’ve found a beautiful whistle tone at the top of your voice. Remember that when you’re first starting to sing in whistle register, it’s important to take it slowly. The whistle register requires a lot of breath pressure. And too often, singers will just squeeze their voice in order to get the notes out. But it’s not worth it! Work with a qualified voice teacher in order to develop that part of your voice correctly. If you have any trouble finding the whistle register in your voice, you can book a Free In-Person Lesson.